Today, President Obama would be a bit more likely to win. There seems to be a whiff of momentum toward Mitt Romney. In a race today, President Obama would win with about 90% probability. The true probability is even higher, since the Meta-Analysis does not correct for individual pollster errors. We could – but the political blowback from unskewing polls is too large. 2. There seems to be a whiff of momentum toward Mitt Romney. Ah, yes…Ro-mentum! Bobo has taken the bait. He is probably looking at other aggregators, where for various reasons (q: do you want me to write about that sometime?) the real trends are harder to see. Let’s roll the instant replay. As you can see, Ro-mentum ended around October 11th, the date of the VP Biden-Ryan debate and reversed around October 16th, Debate #2. Now the median EV expectation is at a plateau around Obama 293 EV, Romney 245 EV. Viewed through the all-important Electoral College, Obama has a Popular Vote Meta-Margin lead of 1.5%. This measure is precise to within <0.5%, far better than any single poll. If anything, the race is starting to look a bit static. Of course, some change may well happen over the coming 12 days. Based on past races (see “The Presidential Predictor sharpens,” Sept. 29), here is how much movement we can expect. The “1 SD band” indicates the 1-sigma range for future Meta-Margin change. The election is 12 days away, over which we could expect movement of up to 1.4% in either direction – about equal to the current Meta-Margin. If drift were random, Romney’s chances of catching up would be 1 in 6 – the roll of a die. But which way will things actually go? The largest unknown factor that might help Romney is undecided voters. In national surveys ending on Oct. 23 or after, there are still 4.0 +/- 0.7 % undecideds (n=7). Based on past elections (“How will the last holdouts break?” 11/3/2008), undecideds break about equally, with a tiny advantage for the challenger. Romney can expect a net benefit of +0.3 +/- 0.8%. That benefit is a main contributor to the 1 in 6 chance I give him above. However, the uncertainty (0.8%) is larger than the average benefit (0.3%), so it could also hurt him. In President Obama’s favor, he (a) won debate #3, and (b) has had a Meta-Margin lead of +3.3+/- 1.3% this year. Movement is more likely toward this mean than away from it. The red strike zone in our history graph reflects this, and gives a re-elect probability of 89%. 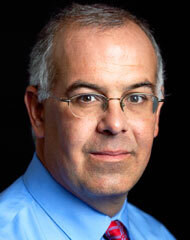 Don’t be like David Brooks. Finally, a word on examining individual polls. In the comments section, I am seeing breathless statements like how the TIME poll shows Obama +5% in Ohio, and won’t that move the Meta-Margin, and so on. Hey…relax. In case you haven’t noticed, the Meta-Margin’s not moving that much. Try to avoid caressing those individual polls too much! If you do have to look at polls, you should do it no more than once every few days, to get a general sense of the state of the race. That’s not bad advice. Instead, spend the time on GOTV in a swing district near you. Here they are. Finally: in comments, I encourage you to avoid citing individual polls. Give it a try. Has anybody noticed that CNN has lost its balanced reporting this year? They are running huge banners on the screen “OBAMA’s MATH DOESN’T ADD UP!”. I meant WTF? Sorry for the french but I’m a bit flabbergasted, I’m not saying they should never report negative news its the way CNN seems to becoming another FAUX shock news event. Their polls this year are way out there with Rasmussen and especially the snap polls after the debates. Did CNN undergo a management change? Does Murdoch have his hands on CNN? This is what concerns me. Bad reporting that could depress turn out. CNN started losing its balanced reporting when Ted Turner sold it. They have lost a number of their best journalists and analysts. I would be very interested in being pointed to a deeper examination of their management / ownership changes. Meanwhile, my preferred news source is the BBC. And for the US election — the Princeton Election Consortium! I am just watching this site and the MM. From what I can tell, this is looking like a repeat of 2000. With Obama getting the EV and R getting the PV (barely). First time commenter with a question. Has there ever been an election where the national polls and the state polls differ so much? I try to take solace in the state polls but those national polls (which seemed to swing toward Romney even more today) worry me. Whether a candidate is up 51% or 100% of the popular vote in a state, he still gets the same number of electoral votes. 100% support boosts his national poll numbers, but makes little difference in his chances of actually winning. The President (who looked awesome voting in Chicago a few blocks from where I work!) will win in the EV and the PV. Count on it. After 2000 and 2004? I count on nothing. You have the state polls trending O, but the nationals going R. The debates did nothing really. I think it will be split, with O winning the EV. Say it with me, “Su-nu-nu”! Dr. Wang: WI is O+4 in the Power of Your Vote table, but its last week’s worth of polls is O+6,O+3,O+3,O+2,O+2,O+1 (non-chronological order). The median of those is O+2.5. No, the 7 days of polling preceding the most recent poll is O+6,O+5,O+3,O+2, which has a median of O+4. Yet again Froggy sets me straight! ‘Twas late last night and I scrolled too low on the WI dashboard. Oh, and I see NC has shown up, which is the only change from last night. That alone moved the MM from 1.50 to 1.78. I suspect a tie in NC well overstates O’s position in that state. Froggy, what are the criteria for the pool of polls for a given run? I’m trying to figure out how NC ended up a tie. TIA! Now take all the polls within a week of the latest polling date, the 10/24 and the two 10/17 polls, giving us O+3, Tied, and R+6. We take the median, so throw out the O+3 and the R+6, and the result is a tie in NC. So the pool is all polls within a week of the latest polling date, plus earlier polls to the extent necessary for us to have at least three polls in the pool. Thanks, guys. It was the “1 week, or at least 3 polls” criterion I was missing. Appreciate the responses! Please do write about the reason real trends are harder to see with other aggregators. Also more about the whole ‘political blowback’ for unskewing pollster data. Would this not yield better results from your model, regardless of any blowback? RAND poll has nothing but good news for Obama this morning. Trends are going in the right direction and the third debate effects aren’t even fully baked in. If only we weren’t expecting a hurricane in NJ. Ro-mentum is dead, laid to rest 2 weeks ago. The VP-2P-3P debate wins blocked media attempts to sell it further, drew the lines among voters and ushered-in a 2-week gradual but significant gain for Obama. It will be a boring finish if the narrative doesn’t change to a Barack-comeback… or a Qbamentum… by next week. So what is going to happen if perfect-storm Sandy knocks out power in the Northeast and east coast for a period lasting into election day? Is election day moved back a week? This may be unprecedented. I doubt they’ll postpone the election. It could disrupt operations in a few close states. The remnants of Tropical Storm Lee caused power outages that lasted for a couple of weeks, including in PA and Virginia. …As for the effect, it’s hard to say. On the one hand, anything that depresses turnout and disrupts GOTV operations probably favors Republicans. On the other hand, the hardest-hit areas in big storms tend to be rural, exurban and outer-suburban areas that are in the Republican base. Additionally, Democratic early-voting would be helpful if a storm was equally hard on all voters. Unfortunately, the area under the storm track is the part of the US where early and no-excuse absentee voting are least common. They don’t have it in Virginia or Pennsylvania. They do in NC, though. The other side of the coin is that the storm would probably disrupt several days of the early-voting period itself. Matt McIrvin, I think you just may be wrong about that, and here is why: The Democrats have emphasized early voting. If turn-out is depressed on election day, those early votes will weigh more. That is a very major Democratic edge in North Carolina! Even if every independent voted Republican, the Democratic voters would still have a 1.4% edge. Personally, I think President Obama will win North Carolina. A Virginia voter tells me that, actually, early voting in Virginia is happening to some extent and is not hard to do: you can vote “absentee in person”, and they’ll basically accept your word for why you can’t vote on Election Day. So I stand corrected on that point. …I think Wright is right that these polls show no O-memtum either. It’s flat as a pancake, at least at the moment. If you’re the incumbent a week and a half out, you’ll probably take a plateau at 285-300 EVs, haha. On the other hand John Dickerson at Slate is up with a “Mittmentum is real” article that reminds me of something out of the “Boys on the Bus” era. John Dickerson is the worst kind of political reporter who does no digging but only opining. Most of his effort goes into writing a headline that is catchy; after that comes the struggle for faux equivalency. I’m guessing that the pushback on his own ardent advocacy of Mittmentum has embarrassed him and pushed him to double down. I wrote my “flat as a pancake” comment before today’s uptick registered. Still, waiting and seeing. Me like. Rand gives an election forecast of Obama +5.9%! That’s after five days of a significant — and increasing — real shift of previous Romney supporters to Obama. But I would like to see the Intention-to-vote gap closed. I’d be shocked if it doesn’t regress back to earth a little bit. When it does, don’t panic!! The RAND intention to vote is scary though – almost a 4% difference. Very sad. The intention-to-vote difference is economic, I think. Today’s breakdown by income is really interesting. It looks as if the erosion of Obama’s numbers with poorer-than-average Americans is what started before the first debate (though he’s always led with them), and they’re coming home in a huge way now, which is the reason for Obama’s big jump. The over-$100,000 set, who were always leaning a bit toward Romney, got more fired up for Romney in the days after the first debate, and aren’t coming back. Meanwhile, the above-median middle-class folk who have always been Romney’s base look pretty much static, though there’s a lot of noise (there must be fewer of them in the sample). Let’s have a Blue Friday! Wow. Big jump this morning. Can someone ‘splain please? NC is moved to tie with the new PPP poll. And Colorado is really trending Obama right now, all the recent polls there have been pretty favorable for him there. Was that Purple poll released yet? Also, I am not sure I am buying that intention to vote gap. Look at the early voting stats so far that show political party. Dems are ahead in that except for Florida, and that number is even questionable, as people are voting absentee in person, so those apparently are not counted. Purple Strategies hasn’t released their polling yet for today. @Reason, the numbers for Florida are probably correct. The reason for this is that the Obama Campaign has encouraged early in-person voting, which is more “robust”; in Florida that starts on Saturday. Expect the Florida early-voting numbers to change significantly next week. The Republicans also have a slight early-vote edge in Colorado. Not sure what the story is there. I sure hope Obama is lawyering up hard to defend any win he gets, because he’ll probably need it. I also think that we are seeing a stronger possibility of an EV/PV split in O’s favor. OV thanks. Tell them hurry up! Heh. I wonder if Dr. Wang also includes economic polling. The GDP number release here today could affect election day. He doesn’t. Unlike Silver, Dr. Wang, going back to the cake metaphor, economic data is already ‘mixed in’ to the bake. OV,thanks. Did you call Purple yet? Sam, there seems to be periodicity to the data. Looking at the Meta-Margin plot and also the 2008, 2010 plots, things move up and down at a 3-week (?) timescale. This could be real signal. The meta-margin is sensitive enough (and the polls frequent enough) to pick up some soft coupling to the news cycle. Have you ever run a fast fourier transform (FFT) on the meta-margin data? You might have discovered the natural frequency of the national news cycle. SOME of us were able to discern the scalable Palin fractal in the debate1 bounce. Information erodes enthusiasm, especially when the underlying structure of the bounce is limited to raw enthusiasm, as was true for both Palin and Romney. Dr. Wang is one of the twitterati. everyone click over and retweet him. Yes, and pretty much all the gains for Romney have been precipitous, while the moves toward Obama have been relatively gradual builds. YES! Dr. Wang pointed out to me that Debate1 and the Palin event have the same abrupt take-off, the slope is steep. Obama’s convention bounce, which became convolved with the 47% bounce was more gradual. Because Obama’s gains are not pure enthusiasm. I think this supports my asymmetrical political behavior (asymmetrical ideology) hypoth. But I think Amitabh’s observations about time constants and periodicity also apply to bounces….its just that red bounces are *shaped* different from blue bounces…while red bounces all conform to a general red fractal, blue bounces conform to a different blue fractal. Because of the underlying structure and the bio basis of behavior. Utterly amazing driving home from work this morning and listening to the Morning Joe MSNBC pundits site every poll going for Romney, endlessly and breathlessly droning on about the momentum being on his side, then making this my first stop before heading off to bed. Like an oasis or reason and sanity. Two new NH polls (Lake Research and New England College) this morning are O+3. The Lake Research poll wasn’t released Thursday evening, as the article states, but rather is the same one we saw earlier this week. The New England College one is new, though. Ah, yes. I’ll look at Pollster’s state dashboard before posting “new” polls here. So NH should move from R+1 to O+1 [=med(R1,O3)] with the noon update, unless another poll shows up. Is there anyway to see what polls (new and old) are included in Dr. Wong’s calculation? Nate Silver has an easier webpage to navigate through, but I would appreciate it if someone can help me find the polls for the swing state and what weight each one carries in this site. Near the top of this page in the right-hand column is a Power of Your Vote table. Click on any row and it will take you to that state’s Pollster.com polls. Dr. Wang uses the median of the last week’s worth of polls in his calculation of the MM (meta-margin). And the problem is, they will continue this crap because of polls like Gallup, which have R up +5 again. Speaking of Ro-Mentum. In Iowa, a state that should be fairly well influenced by Ro-mentum, Romney is gaining ground almost exponentially. One week ago, 55,498 more registered Democrats had already voted than Republicans. This week, the difference between registered Democrats and Republicans increased to 57,184. Mitt Romney cannot be stopped! I don’t know if I buy this, especially given the bulk of the national polls and RCPs much closer state averages. However, I do admire that you’re all in. If Romney wins at least Silver can say he gave him a 1 in 3 or 4 chance, but you’ve got nowhere to hide. Those probabilities have been implicit in the history graph, in the form of the red and yellow zones. Apparently you have not noticed them. Your comment illustrates the value of making them clearer. Could you set out, state by state, where the GOP bias exists in the Congressional vote? This might also be of value when it comes to the US Supreme Court’s decision to revisit the Equal Voting Rights Act which they last considered back in 2009. It is time that a penetrating searchlight was placed on the flagrant gerrymandering around Congressional districts – and most notably on the part of the GOP/Billionaires’ Tea Party.